One of the biggest challenges of our property is that it slopes downhill the entire way. Therefore when we cleared it and before it had been seeded we had several decent days of rainfall which started the erosion issue you see in the photo above. So this is how I went about fixing it and the results are amazing and quite easy to achieve with just a bit of time. 5. 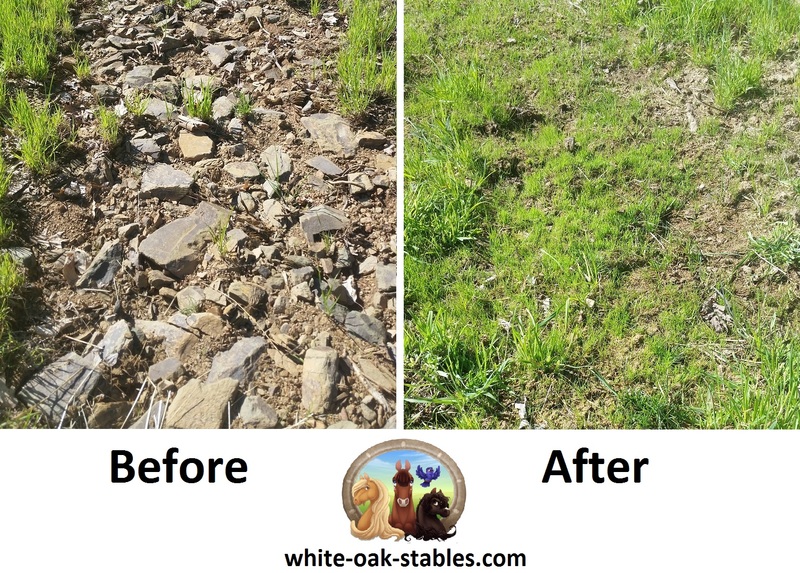 Your pasture will continue to fill in, no more rocks!